What do Lord of the Rings actor Elijah Wood, Olympic ice dancer Tanith Belbin, and American Idol singer Jordin Sparks have in common? They were all homeschooled! And interestingly, each of these famous young people homeschooled through Laurel Springs School. When it comes to education, all parents want the best for their children, which is one reason why so many families choose homeschooling. For others, it is also a necessity. Child actors, performers, and athletes following their dreams must obtain their education through alternate means. Homeschooling gives them the flexibility to reach for their goals while they are still “going to school.” In this case, the student’s place of study may be in their home or in another location that suits their needs and lifestyle. Some homeschoolers decide to use a distance learning or correspondence program. This way, not only will the children benefit from receiving a quality education, the parents also benefit from the ready-to-use format of the school’s curriculum. Distance learning has always been a popular option for students pursuing sports or acting careers, gifted and talented students, special needs or homebound kids, families living abroad, military families, homeschoolers looking for extra support, and anyone who prefers an alternative to traditional schools. Founded in 1991, Laurel Springs School www.laurelsprings.com is an accredited K-12 college prep distance learning school based in Ojai, California, providing a standards-based private school education at home to thousands of students across the country and around the world. Laurel Springs is often called the “School of the Stars” because of its famous alumni, yet their students come from many different backgrounds. The school views all of its students as “stars” in their own right, each with his or her own special talents. Laurel Springs offers a personalized approach to education by honoring each student’s unique learning style, adapting their teaching methods to meet students’ needs, and creating a customized curriculum program that that nurtures students’ academic and extracurricular goals. Their web-based 5th-12th grade core online courses combine the dynamic interactivity of the Internet with online as well as off-line assignments. For more traditional learners, they also offer a comprehensive text-based program for students in grades 4th-12th. In addition, Laurel Springs has a project-based curriculum for K – 8th grades, which is ideal for students who want options and variety in their learning assignments. Students may receive elective credit for research, tutorials, workshops, seminars, conferences, private classes, religious studies, and community service. Students need to document these courses or activities and complete a certain number of hours in order to receive credit for them. The school provides portfolios with instructions, forms, and a journal for students to document their work. With traditional homeschooling, the primary teacher is usually the parent who has to build a curriculum, keep records, and create transcripts. Enrolling in Laurel Springs, on the other hand, is like having your own private school at home. Laurel Springs provides all of the basics such as accreditation, books, study guides, records, transcripts, diplomas, one-to-one teachers, and support. Nevertheless, a parent or guardian’s committed participation is essential to making the child’s experience a success. The parent helps the student organize and structure his or her life, establishes a proper working environment, sets up a schedule, ensures that the student has the necessary tools and materials, verifies that the course work is being submitted in a satisfactory manner (including correcting a child’s math assignments), monitors student progress, and acts as the student’s learning companion and advocate. Laurel Springs‘ curriculum is designed to be easy to use for parents who are teaching their children, and can be a learning experience for the entire family. It is also designed to be more and more self-taught as the student progresses. With the strong base provided by homeschoolingthrough Laurel Springs, students are effectively equipped to branch out into independent learning experiences in high school. 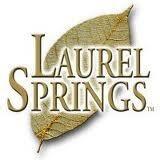 Laurel Springs also offers the opportunity to become part of a thriving community. Kids can join the school’s Pen Pal program and develop a friendship with one or more fellow students. This enables them to learn how and why other kids their age are learning at home. Or, they may want to write to someone older and develop a mentor/mentee relationship. Middle school and high school students can join virtual online clubs such as astronomy, book club, creative writing, debate, French, music, technology, and more, to connect with peers who have similar interests. Ben Agosto – 2006 Olympic silver medalist ice dancer and participant in the Vancouver 2010 Olympics with partner Tanith Belbin. Tanith Belbin – 2006 Olympic silver medalist ice dancer and participant in the Vancouver 2010 Olympics with partner Ben Agosto. Chad Compton – Top Junior Surfer in the U.S.
Isabella Acres – young actress who discovered her love for acting in children’s theater. Thora Birch – actress who appeared in one of the “classic” California raisin commercials in 1986 (at age 4), as well as other commercials including Quaker Oats. Rachael Leigh Cook – model and actress who starred in a “This Is Your Brain on Drugs” public-service television advertisement in which she smashes everything in her kitchen with a frying pan. Chloe Grace Moretz – three-time winner of the Young Artist Award, presented to talented young people in television and movies who might otherwise be overshadowed by their older co-stars. Hayden Panettiere – young actress; one of her first roles was the voice of “Dot” in A Bug’s Life (1998). Emma Roberts – as a child, she spent a lot of time on the sets of the films in which her father Eric Roberts and aunt Julia Roberts were starring. These experiences sparked a desire in Emma, from the age of five, to follow her father and aunt into the film industry. Erin Sanders – first started acting at the age of 9, after being discovered by an agent while selling Girl Scout cookies! Jordin Sparks – singer, actress, model and American Idol winner. Cole and Dylan Sprouse – these two brothers have been acting ever since they were babies.